.. then we all would ride. I thought this was cool. Cavallari Stewart, a Massachusetts creative design firm, started Transit Authority Figures, a project about subway systems in unlikely locations. 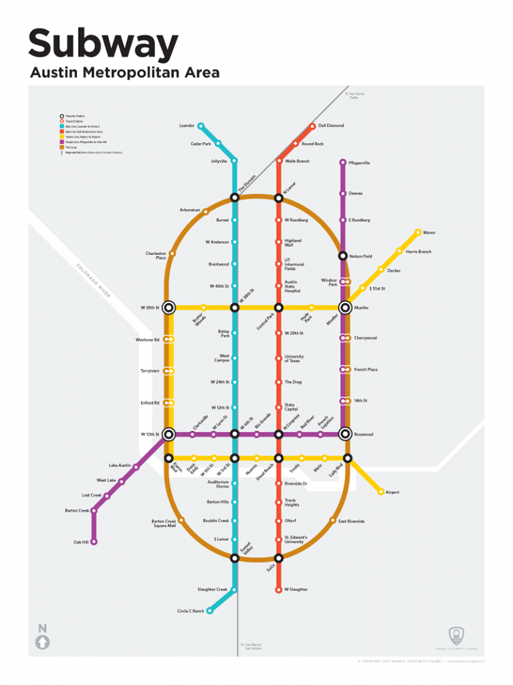 When I lived in San Francisco, I rode the subway (MUNI) for many years, I can honestly say Austin Traffic would be a lot more manageable if this map were a reality. Dare to dream Austin.